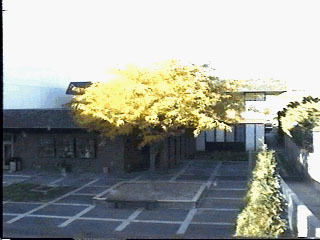 First IMAGE video cam picture of the BMCC Courtyard October 23, 1998 at 2:45 PM. 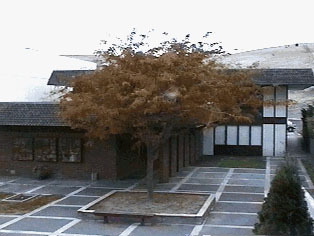 This image is of the BMCC Courtyard at the McCrae Activity Center on the BMCC Campus. 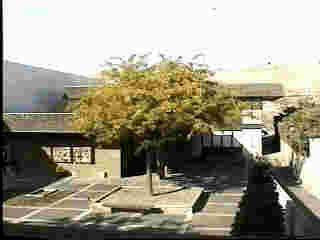 This test shot was taken on October 26, 1998 at 8:01 AM. 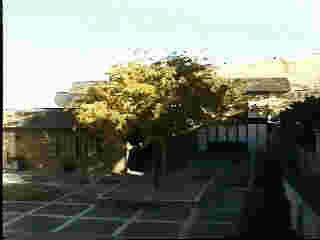 The camera is looking north from the Graphic Arts work area in Pioneer Annex. This test shot was taken on October 26, 1998 at 3:15 PM. This test shot was taken on November 6, 1998 at 4:15 PM.